Great Regional TV guide distributed through drug stores. Madison, Wisconsin and vicinity ads and listings. 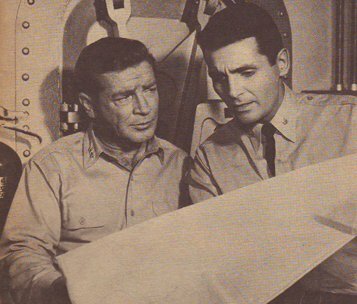 Dated May 23, 1965. Guide measures 5 1/2 x 8 1/2 inches. Includes 20 pages. 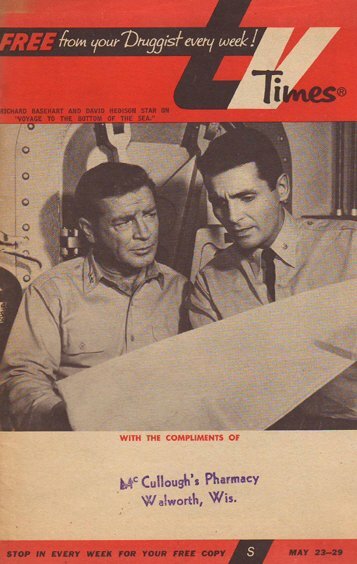 Very scare promo photo on cover of actors David Hedison & Richard Basehart.